Microsoft has released a strong set of financial results for the fourth quarter of the 2017/2018 financial year and equally impressive results for the full fiscal 2017/2018 year. 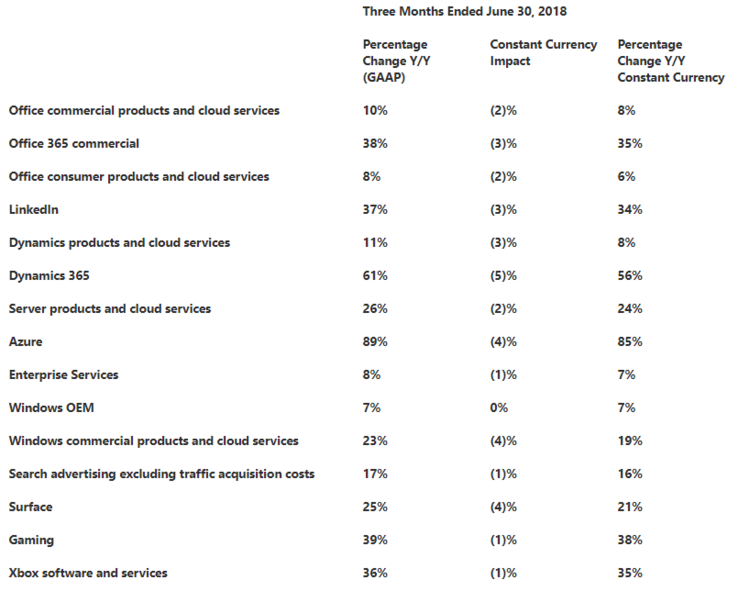 Growth was strongest in cloud services (matching the third quarter results), but gaming and Surface also showed good increases. 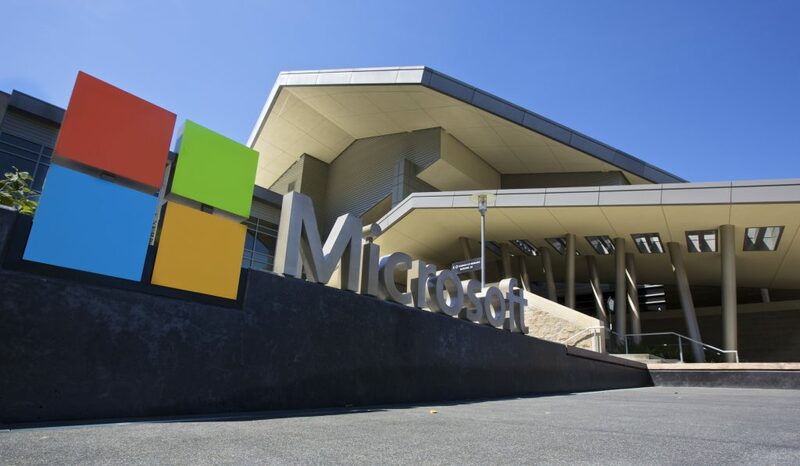 Highlights for the full year include revenue of US$110.4 billion (+14%), marking the first time Microsoft has reported a result of over US$100 billion. This was matched by an operating income of US$35.1 billion (+21%) with a net income of US$30.3 billion non-GAAP or US$16.6 billion GAAP. “Our early investments in the intelligent cloud and intelligent edge are paying off, and we will continue to expand our reach in large and growing markets with differentiated innovation.” said Satya Nadella, chief executive officer of Microsoft. The fourth quarter had reported revenue of US$30.1 billion (+17%), operating income of US$10.4 billion (+35%), and net income of US$8.8/8.9 billion for non-GAAP/GAAP. The performance of Microsoft’s three main business categories is shown below. Office 365 commercial revenue was up by +38%. Office 365 consumer has hit 31.4 million users (combined with Microsoft’s 1 TB OneDrive offering). LinkedIn revenue grew by +37%. Dynamics 365 revenue grew by +61% (relatively small product category). Azure’s strong revenue growth of +89% pushed the server products and cloud services revenue up by +26%. Windows commercial products and cloud services revenue increased by +23% due to the signing of a larger number of multi-year contracts. Gaming revenue improved by +39%, with Xbox gaining by +36%. Surface hardware revenue was boosted by +25%. Search advertising revenue has increased by 17%, reflecting Bing’s growing market share in some regions — such as 33% in the USA. Note: The growth figures for the financial year are compared to the previous financial year, while the quarterly growth figures are compared to the same quarter in the previous financial year.